Hello Dolly! – Nice dress! Thanks, I made it!! So the assembly began. Last time I had a dress form, I basically dialled in my numbers and used it to hang my pieces on, until I got bored with it and, after having a couple of babies, grew out of it. It eventually found a good home with a young lady more its size. Here’s Dolly assembled and measured as close as I can get her. Sometimes it was easier to put my hand up through the body to turn the dials. They are larger on the inside. I did extensive research on the internet as to which dress form to buy and what to do with it after it arrives. I purchased “Pattern Fitting with Confidence” by Nancy Zieman. It told me what body parts and appendages I would have to measure and my daughter and I set to work measuring – FYI my nose is two inches long (just kidding!). Research also told me that you should purchase a dress form smaller than yourself, if you are torn between two sizes. It is best to dial in your close measurements and “pad” the extra inch you might need here or there, than try to make a too large dress form smaller. 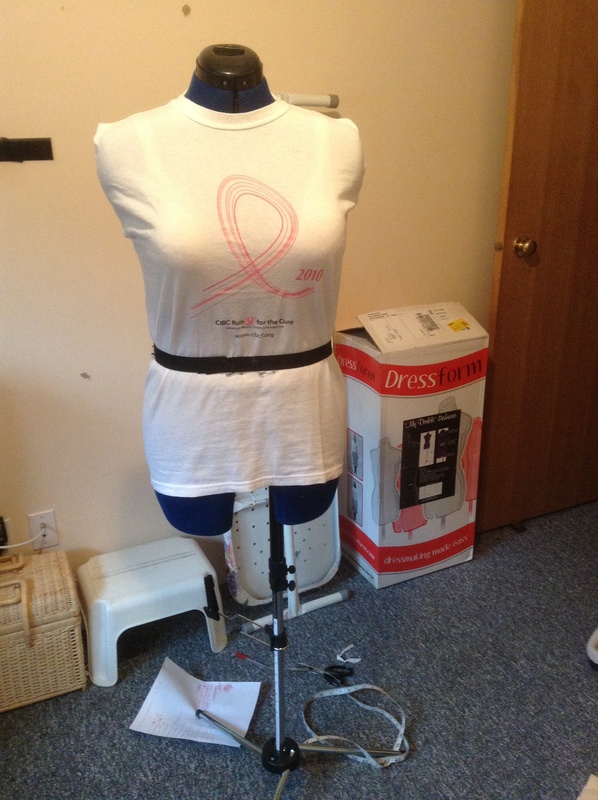 I also read to adjust the bust on the dress form so that the under bust measurement is correct, then put one of your own bras on it and stuff it, to fill out the bust to the right measurement. Apparently dress forms come in only one cup size. So, after the padding and stuffing, we have an undressed Dolly, with all the right measurements. 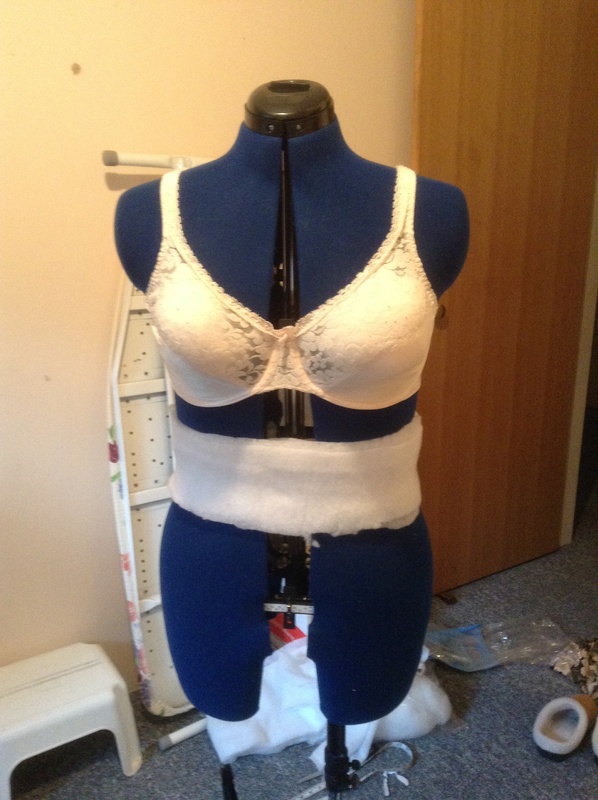 Then it was advised to put something over the padding to hold everything in place and mark where her waistline is with properly measured elastic (your waist measurement). 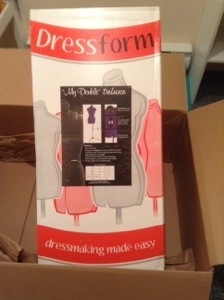 Of course after all the internet research was done, measurements taken and dialed and adjusted, I found the instructions for “My Double Deluxe” dress form in the box. Very good instructions included to boot! Too bad I didn’t notice them before! All I can say is, I did it right! And so we have Dolly, ready to rumble! Might I add, Simon did NOT like seeing Dolly standing in the room with her smiley face on. He tried to “stare” her down but she was too tall for him. 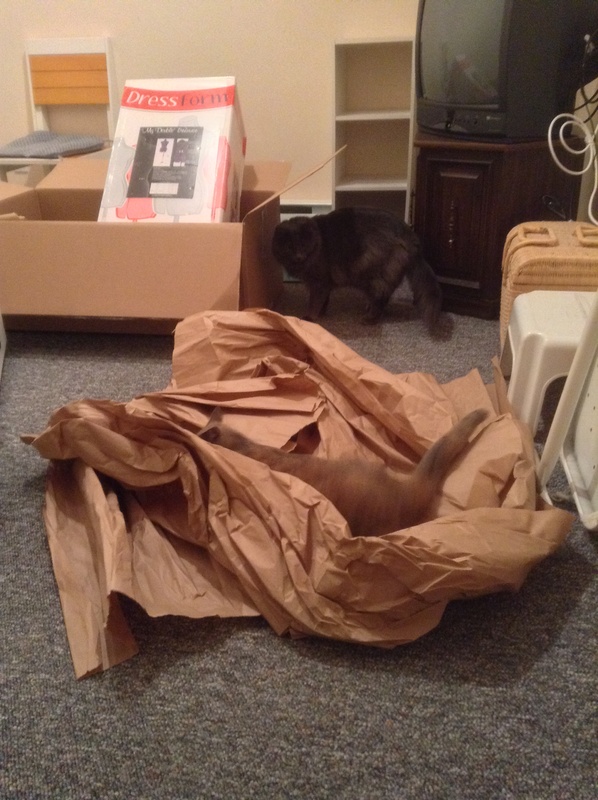 So, in order to avoid any future invoices for feline psychiatric services, I had to quickly remove Dolly’s face. He still is weary of her! So what should Dolly and I work on next? 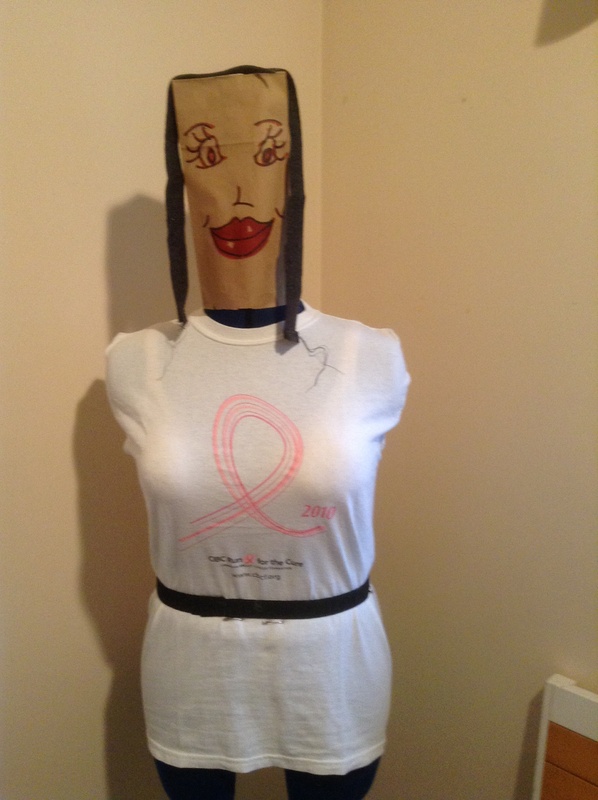 “Dolly” is great – I never thought to put a bra on my “Tilda” – great idea!